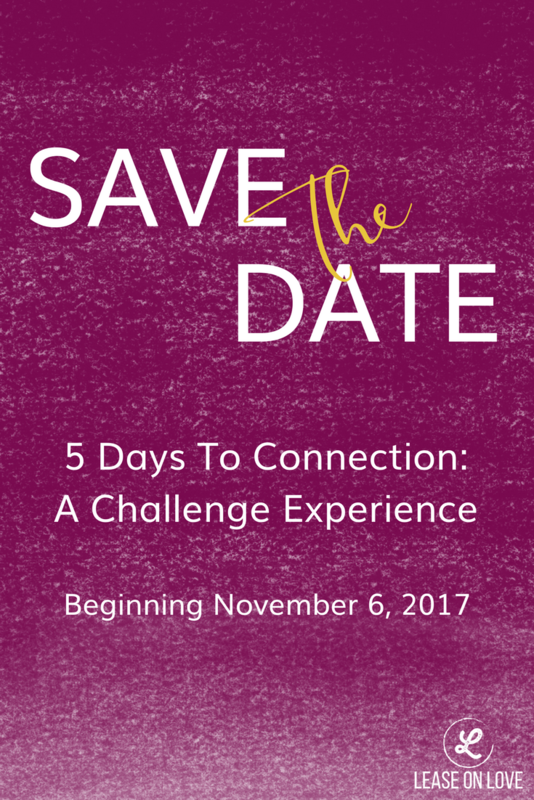 Beginning on Monday, November 6th, we’ll embark on a five-day challenge experience focused on connection. Each day, we’ll offer our thoughts on a different key aspect of connection and a few choices for applying the challenge to your own life that day. After the five days end, we’ll recap our shared journey, and continue to offer inspiration, support and playful ideas for experiencing connection throughout the rest of the month! The best part…well honestly there are a lot of best parts, so we will start with this... you must know that this challenge experience is of NO cost to you. It is an experience that is open to absolutely everyone. Also it does NOT only apply or offer up extraordinary experiences to just couples or even those seeking relationships. We promise these challenges will focus on universal experiences and perspectives, designed to create powerful moments for all of us who are human. You can look forward to us sharing and supporting you in ways to inspire and grow yourself no matter where or who you are in life. Connection. It’s a big word. A heavy word. A scary word, even. AND it is the good stuff that all relationships are made of. It’s what we often most long for and fear, simultaneously. 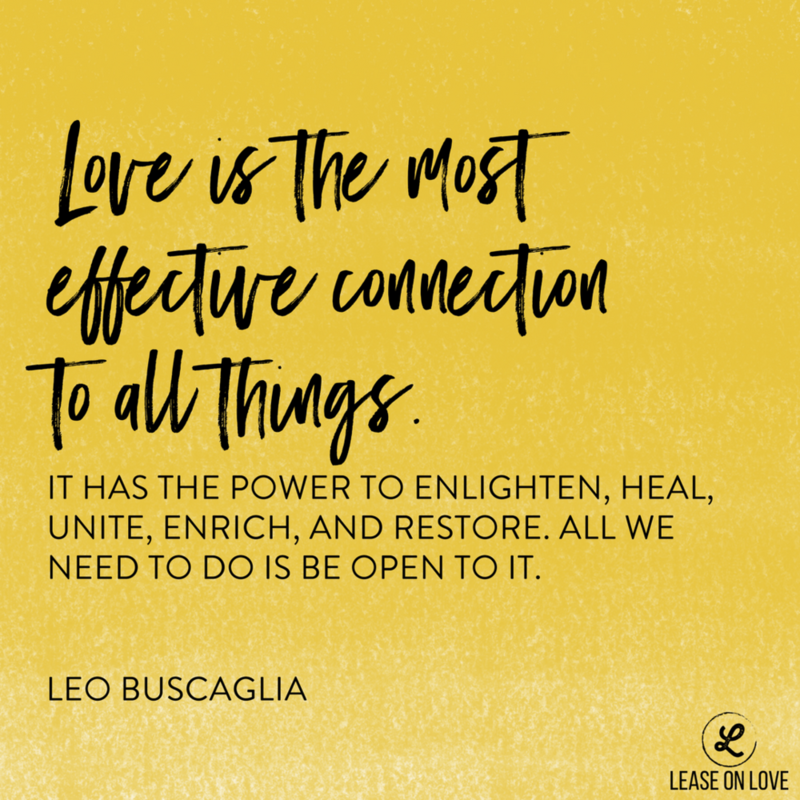 As we look ahead together to a holiday season and embrace changes in the calendar year, connection becomes ever-present: family get-togethers, office parties, cards in the mail, holiday movies, stories on the news of the power of connection itself. All of this is great, but it often glosses over what connection is really about. This challenge will be an experience in connection, over the course of five days. We’ll challenge YOU to find and experience connection in five different aspects of your life — and...here’s a hint, a lot of this has nothing much to do with other people. As we move through the five days of the challenge together, we’ll be giving you a bit of background on why each facet matters, as well as suggesting examples of various ways you can experience connection in that particular area of life. Please know that while we’d love for you to take us up on our suggestions, if by chance something else occurs to you—by all means, express your own uniqueness during the challenge and reap the reward of connection in that space, that day, in your own way! Along the way, we’ll ask you to respond and share how you’re rising to and experiencing the challenge. Maybe that’s a comment, maybe it’s a tweet, maybe it’s a shared photo on Instagram—do what works and is natural for you! The point is for us to lead you in creating an experience of connection for yourself in way that fortifies and inspires you to be all you can be as we together embrace the opportunity for connection throughout this holiday season. After all, it is said to be the most wonderful time of the year. Regardless of years in the past, how about we make it happen for you this year? JOIN US ON NOVEMBER 6TH! Older PostPart Four: How much time are you willing to devote to LOVE?